It seems that I have blogged a lot about my dad, but I have yet to tell you about my mom. Both of my parents made for my interesting upbringing. I have been to many therapy sessions and talked about my family, but writing this blog has been the best therapy yet. I have found myself laughing about my family, instead of blaming them for my issues. Yes, we were unorthodox and disfunctional, but as I write, I realize that we had some really good times, and I was taught one very good coping technique: laughter. My mom provided many of the good times. When I was younger my mom was the life of the neighborhood. We must have gone through a box of sandwich bags every day of the summer. She would keep us busy for hours filling them up and throwing them at the neighbor kids. Why didn’t we use water balloons? I don’t know. Probably because sandwich bags were always on hand. Sandwich bags were also much easier to fill….dump them in a bucket of water and Wala…full to the rim. When I was in 6th grade, I had finally almost recovered from the 4th grade situation. 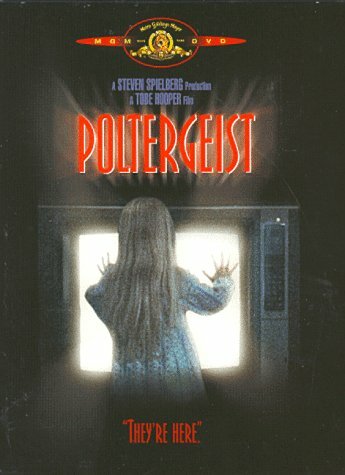 Then, my teacher chose to show Poltergeist. I, being the sensitive child that I was, as well as sheltered and naive, couldn’t sleep for weeks after viewing the movie at school. I was scared out of my pants. I had nightmare after nightmare. My mom was getting sick of me coming into her room and waking her and my dad up. She started to grill me for details. I never wanted to give them up because I knew exactly how my mom would react. My brothers, on the other hand, knew exaclty what I was afraid of. By some freaky coincidence, during the same time period, my sister and I had this porcelain clown in our room. I couldn’t even look at it after watching Poltergeist. I was terrified that it would come to life and harm me. At nights, I would gather up every bit of courage that I had, grab the clown, smothering it in my pillow, and as quickly as possible I would deposit it somewhere else in the house, usually in one of my brother’s rooms. I would run back and close the door behind me, feeling mighty accomplished that the clown would not be able to harm me, just my brothers. Well, after a little while, my brothers figured out what I was doing. They loved to sneak back in our room and leave the clown next to my bed. In the middle of the night, after one of my nightmares, I would wake up to a real nightmare next to my bed. After weeks of this torture, I finally gave in and told my mom what we had seen at school. She reacted just as I thought that she would, but I was so down-trodden by this point, I didn’t care. First, my mom, gave me a lecture about how I should have told the teacher that I wasn’t allowed to watch movies of that nature. Second, she tried to give me the pep talk that it wasn’t real and it was nothing to be afraid of. Third, she got rid of the clown. And, fourth, she marched down to that school’s principal’s office and gave her a piece of her mind. Well, of course, the teacher was in trouble. She had to apologize to the class and the parents. A few of the other children got in trouble with their parents. The class then came after me….they knew exactly whose mom had made the stink. Mother Hen of course….she wanted to protect all the children in the 6th grade from that filthy trash of a show. What my mom did or didn’t realize is that she had succeeded at making me an outcast for another year of my life. She did the right thing, but I can only say that because now I am also a Mother Hen. I have to say that if I am ever faced with the same situation, I will want to do the same thing, but I probably won’t just because of the scars that I still carry from the 6th grade.